About | Maruesu Koun K.K. 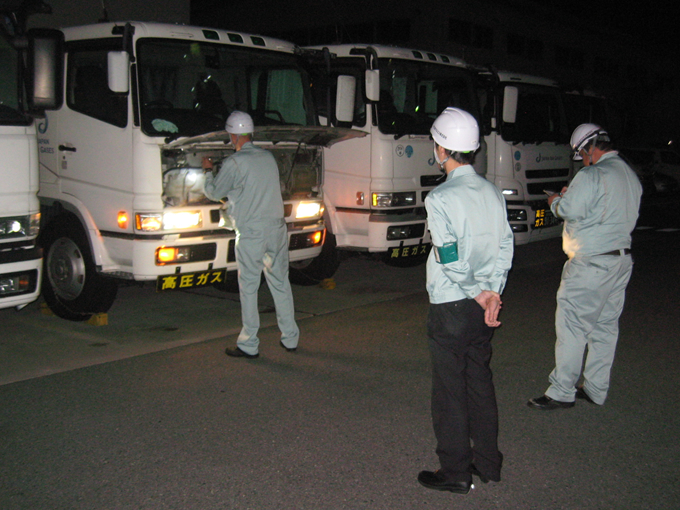 We, Maruesu Group, sincerely recognize that ensuring safety in transportation is the company’s social mission and the foundation of business, therefore management notifies all employees from top to bottom to strive for improved safety by taking the initiative role in securing transportation safety. Safety First is our core safety policy, with 3S + a (Safety, Surely, Speedy) to enhance safety transportation system, working daily on improving quality and trust. Continuously pursue improvement of transport safety by all personnel working together to fulfill operations and ensuring transportation safety management. Respect safety management rules and other related laws and regulations, and enforce Safety First and compliance. Structure and improve safety management systems, continuously working on and improving ensured safety. Actively bulletin information regarding transport safety. 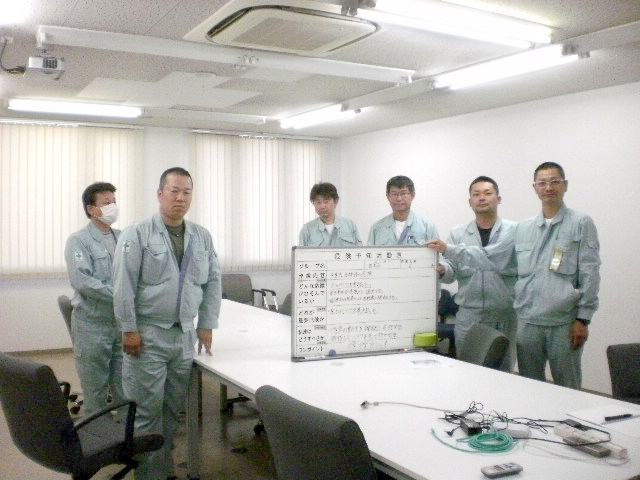 Work on danger prediction in all operations to create a safe workplace. Understand and review the safety policy through internal audits to confirm understanding, penetration and compliance. 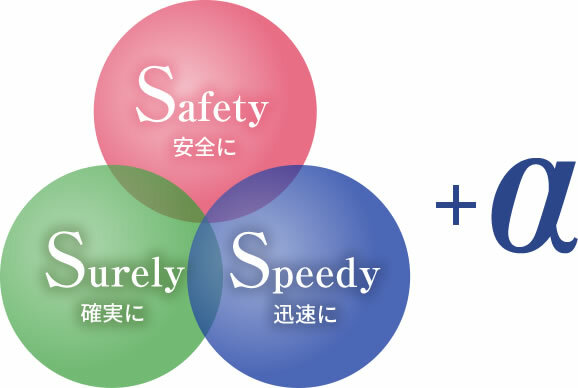 Since foundation of Maruesu Group, we have been continuing efforts to pursue and improve safety transportation structure with the motto, 3S + a (Safety, Surely, Speedy + alpha). We examine and call for safe driving. We point and vocally call. We examine around the vehicle for safety before driving. We keep appropriate distance and legal speed. We follow load owners’ standards and site rules to ensure customer satisfaction. We never drive under the influence. We recognize ourselves and act as professional drivers. 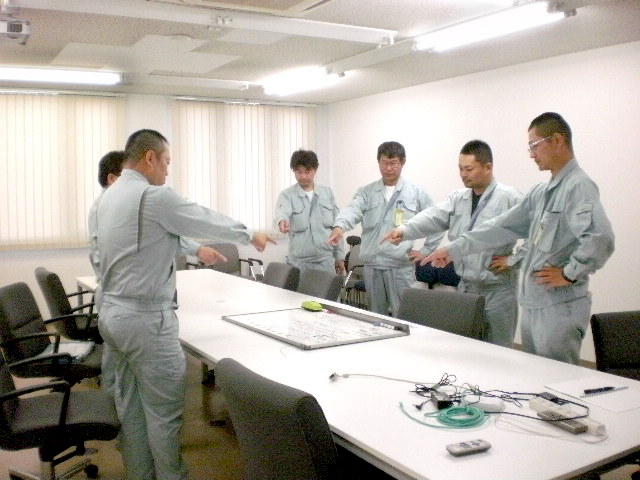 Maruesu Koun is involved in various activities company wide, at each location, and individually to practice 3S+a and to enforce continuing safety awareness. KY (Danger Prediction) activity is a form of regular training to share and remind possible danger in daily driving and operations by using videos and slides, and discussing the risk factors. Accidents and incidents can occur any time during any usual driving and handling operations with even a slight inattention. 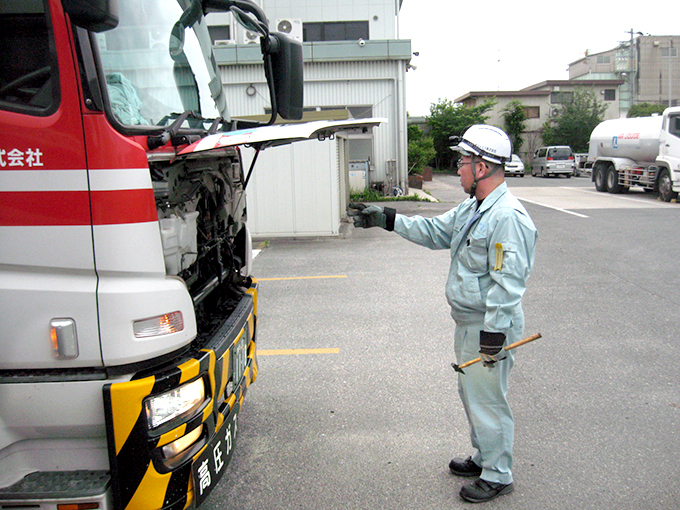 We strive to continue zero accidents through these activities and being aware of danger around us at all times. All employees are required to submit each month at least one close-to-accident incidents from daily driving, operations, or any personal encounters. Incidents are written in a given form for everyone to share the incidents so everyone can enhance awareness to safety. 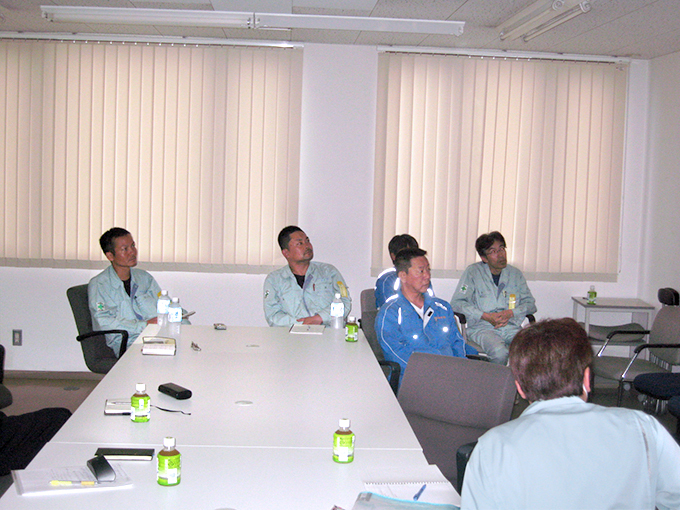 Safety meetings are held once every month at each locations to discuss and share information about accidents, incidents, and safety to improve equipment and procedures. Passenger training is a form of regular training where a qualified trainer rides with the trainee to confirm basic rules and driving, and point out any risk factors in the operation to improve driver quality. Safety patrol is a monthly activity done at each location to check daily checkup and operational procedures so any flaws and dangerous actions can be improved. 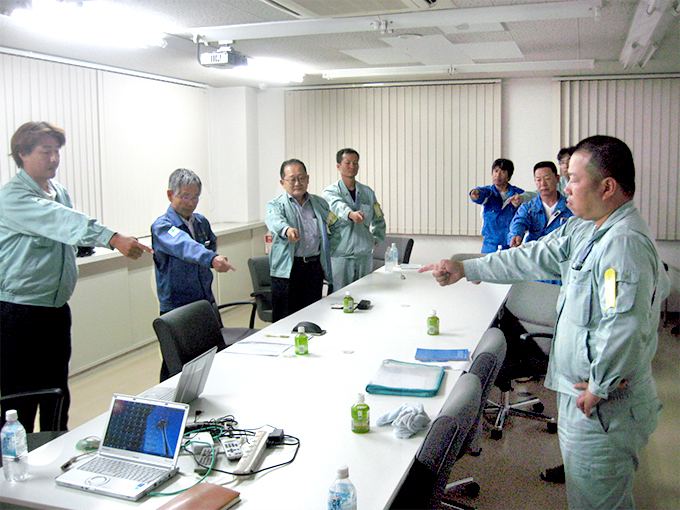 The company president’s safety patrol is conducted regularly as well. Central Safety Committee is formed by the company president, board members and union officials that meet regularly to share information about accidents and incidents, KY activities at each location, close-to-accident reports, passenger training, and safety patrol, and discuss and decide safety activity policies based on safety meetings. 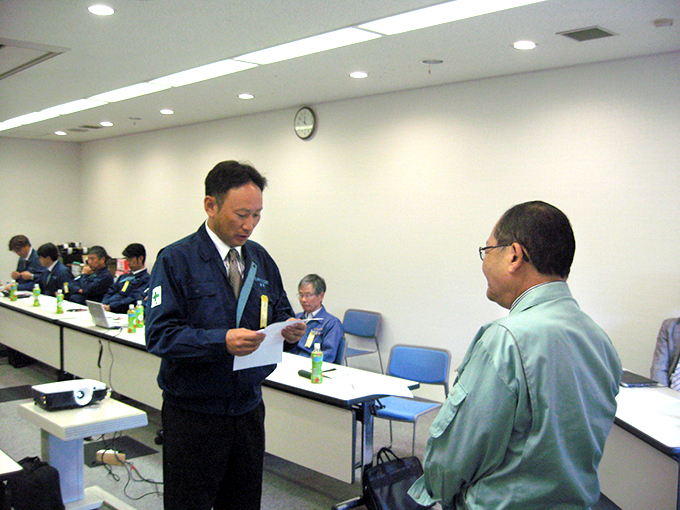 This is held once a year to commemorate no-accident drivers (5 years, 10 years, 15 years, 20 years, 25 years, 30 years, etc.). 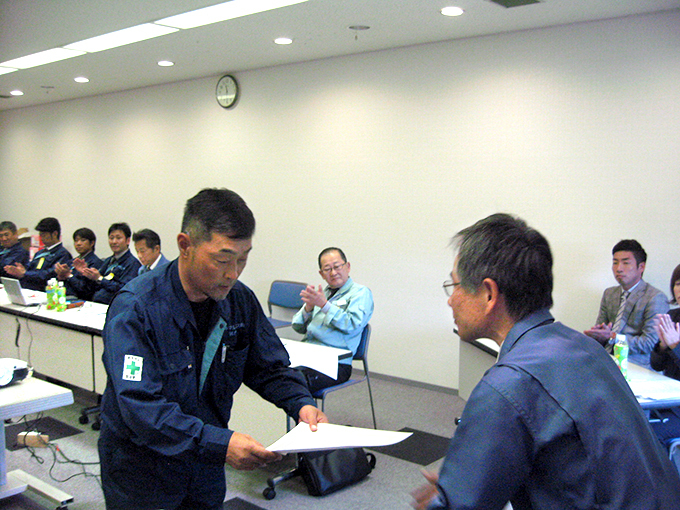 An employee representative shows commitment to safety. There will be active discussion held through safety activity reports and eco-driving reports from each location for the year. Copyright © Maruesu Koun K.K. All rights reserved.